Homages and dedications have often a veiled mystique: the relationship between the composer and somebody else; a story and emotional experience hidden in the music. Homages are created from the heart, and reach out and engage the heart of the listener. To whom they are dedicated is not always easy to fathom, but they can speak and bloom as though they were only written for oneself, creating a poetry and beauty which fills our heart. was born in Basel, Switzerland, and spent an important part of his early life in the Swiss mountains. His extraordinary musical talent became apparent early on, at which stage he already loved the guitar. He began his concert career at age 15. His studies of the classical guitar led him to the conservatories of Lucerne, Basel, and Zurich. He attended master classes with Pepe Romero and others and trained as a soloist with Oscar Ghiglia at the Basel Musikakademie. He regularly performs as a soloist with chamber orchestras and ensembles such as the Nouvel Ensemble Contemporain (Peter Maxwell Davies) or the Offenburger Streichtrio, and at international music festivals such as that of Schleswig-Holstein. He has also performed as a soloist at Carnegie Hall in New York, at the Berlin Philharmonie, and at the Salzburg Mozarteum. 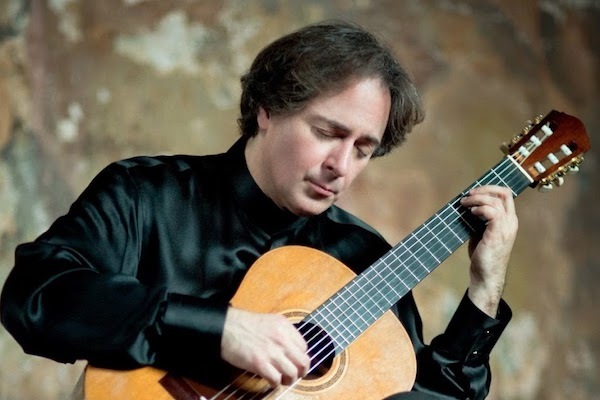 He recently performed the Concierto de Aranjuez by Rodrigo in New York and made his BBC Proms debut in London in 2013. 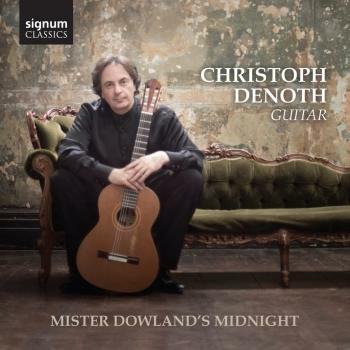 Christoph Denoth endeavours to expand the tonal and dynamic range of today's concert guitar and bring it to the attention of a wider audience. Sergiu Celibidache, with whom he studied Phenomenology of Music and Conducting, exercised an enormous influence on Denoth, who has since conducted a number of orchestras, notably in Basel. Denoth has won several international awards, including prizes at the 35th Concours International de Guitarre de Paris (1993), sponsored by Radio France. As an acknowledgement of his contribution to music, he has received important grants from the Louise Silverberg Foundation in St Moritz, the Werner and Helga Degen Foundation, and Pro Arte, Switzerland. In 2008, he was awarded the UBS Culture Award for Music. Christoph Denoth is also a successful recording artist, who has released various CDs, including a highly acclaimed disc with (Philips/Universal), An den Mond, a lieder CD with songs by Schubert, Mozart, and Haydn with Martina Janková, including 9 world premiere recordings for soprano and guitar. His next two CD albums will be released in 2014 by Signum Records. Denoth was Musician-in-Residence (2006-2009) at Balliol College, Oxford. He was the first Swiss musician to be appointed to this position. He also was recently appointed to the Royal Academy of Music in London to teach the repertoire for voice and guitar. He is regularly invited to lecture and give master classes, notably at the Faculties of Philosophy and Music at Oxford University, Glasgow University, Musikhochschule Luzern, Tulane University New Orleans, Skopje University, the University of Sheffield (lecture on Science and Music with physiologist Denis Noble), Tirana University, Western Carolina University, St. Bonaventure University, and others. Denoth has an active interest in contemporary music, and future world premieres will include Barrington Pheloung’s guitar concerto. In 2013, he premiered Hans Martin Linde’s 5 Traces after Benjamin Britten in Buenos Aires. 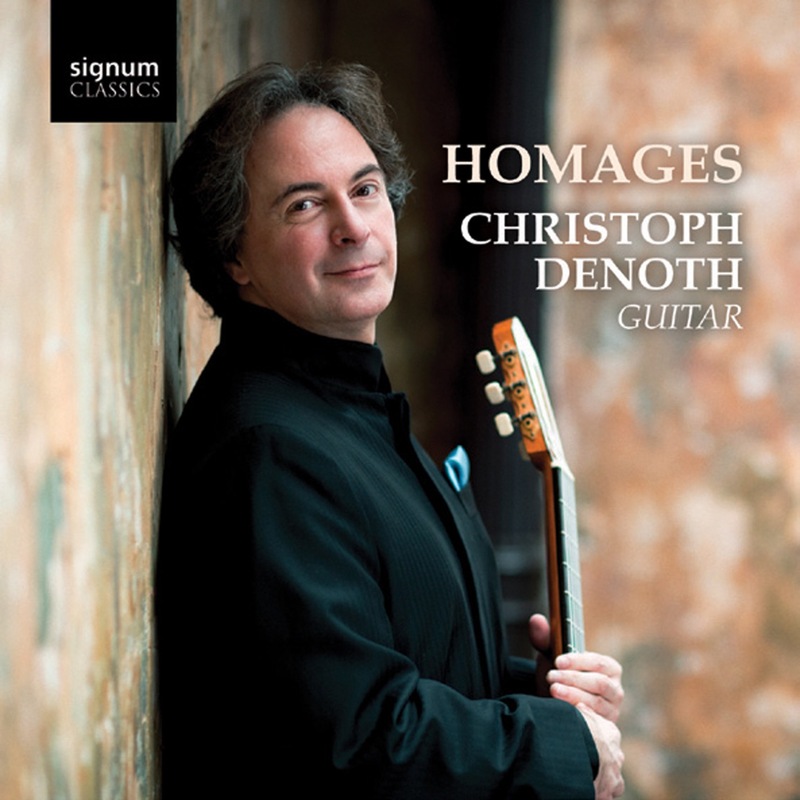 Christoph Denoth has greatly contributed to the knowledge of the available repertoire for voice and guitar. He performed with Dame Felicity Lott at the Oxford Lieder Festival in autumn 2011. He also took part in the BBC Spirit of Schubert week in March 2012, performing Schubert songs with Ruby Hughes (soprano) and premiering an unperformed Schubert piece for guitar and male trio. He played his debut concert at the Wigmore Hall BBC Live lunchtime solo recital in October 2012. He also played his debut concert at the BBC Proms in July 2013, performing a Benjamin Britten programme with Songs from the Chinese and Folksong Arrangements together with James Gilchrist, tenor, and Ruby Hughes, soprano. 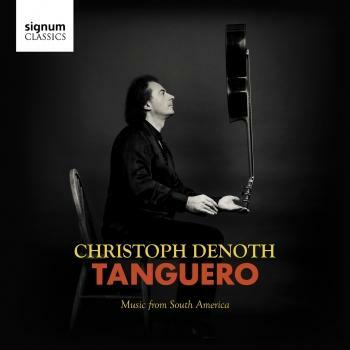 Denoth performs all over the world, most recently in Buenos Aires at the Radio Nacional, in Istanbul, New York, Toronto, Zurich, and London. Christoph Denoth is considered one of the foremost guitarists of the younger generation, much praised for his rich sound and musical expression.